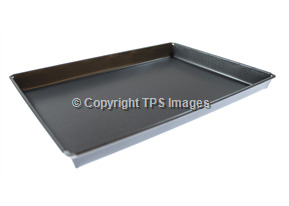 Bakeware Giveaway: Win a Biscuit Baking Tray! To enter, just follow @BakewareUK on Twitter and retweet our pinned tweet! Follow @BakewareUK (that's us!) on Twitter. Retweet the tweet at the top of our page. Cross your fingers and start researching biscuit recipes - we'll announce the winner at 12 noon on Tuesday the 6th of September! 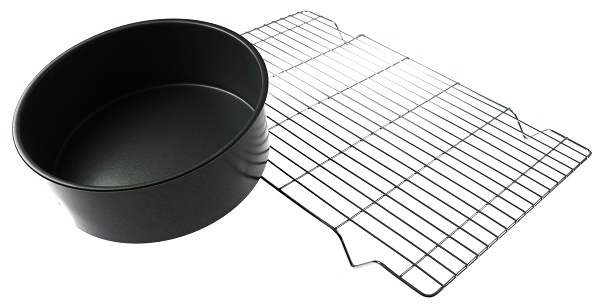 Bakeware Giveaway: Win a Cake Tin & Cooling Rack! As we're sure you're already aware, a brand new series of The Great British Bake Off begins on BBC One at 8 o'clock this evening! Naturally, we at British Bakeware are H-U-G-E fans of Bake Off, and so we thought we'd celebrate the show's long-awaited return with a little competition! The first week of Bake Off is always cake week, so we're giving away an 8" Round Cake Tin and a Large Cooling Rack - perfect for cooking up a sumptuous cake of your very own! Retweet the competition post at the top of our page. Cross your fingers and start thinking about all the delicious cakes you'll bake if you win! The competition will close at 12 noon on Tuesday the 30th of August, at which point we'll draw a winner at random and notify them via Twitter. Good luck, and make sure you don't miss GBBO tonight! Everyone loves brownies and Oreo's, they're both great! But wouldn't it be even better if you could combine the two? Well that's exactly what Jamie at Jamie's Cookery has done! We're huge fans of brownies here at British Bakeware, so we're very eager to share this Oreo variation of the gooey, chocolate packed dessert. 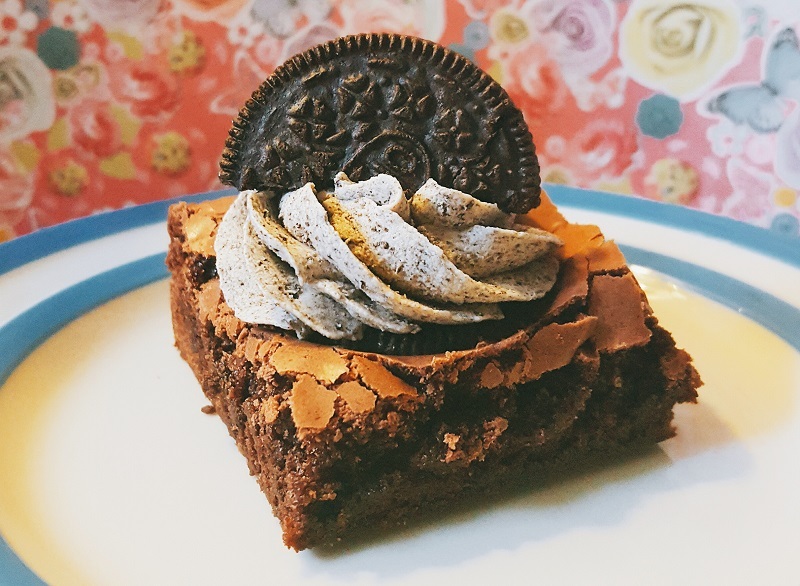 This Double Oreo Brownie recipe is super easy to follow and the brownie itself is simple to make, so even novice bakers can attempt to make this terrific desert! 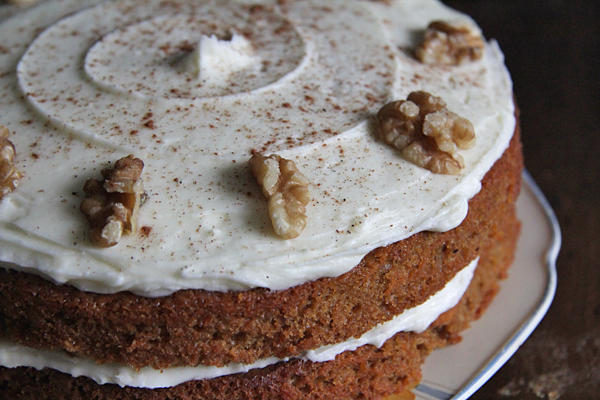 This fantastic recipe and image is from the brilliant Jamie's Cookery. Jamie's blog is crammed full of great recipe's just like this one and we highly recommend that you go check it out! Step 1 - Preheat your oven to 160°C. Step 2 - Grease and line your baking tray. Step 3 - Melt the dark chocolate in a bowl, over a pan of simmering water. You can also melt the chocolate by giving it short blasts in a microwave. Once the chocolate has melted, take it off the heat and leave it to cool. Step 4 - Next, place the butter and sugar in a bowl, and mix until thoroughly combined. Step 5 - Add the beaten eggs in parts, mixing well after every addition. Step 6 - Then, add the cooled melted chocolate and mix in thoroughly. The mixture should be smooth and silky in appearance. Step 7 - Sift in the plain flower and cocoa powder, and gently fold until all the ingredients have combined with the mixture. Step 8 - Empty the mixture onto your baking tray. If the mixture isn't level, just smooth it over with a palette knife. Step 9 - Place your Oreo cookies into the mixture, and press down gently. 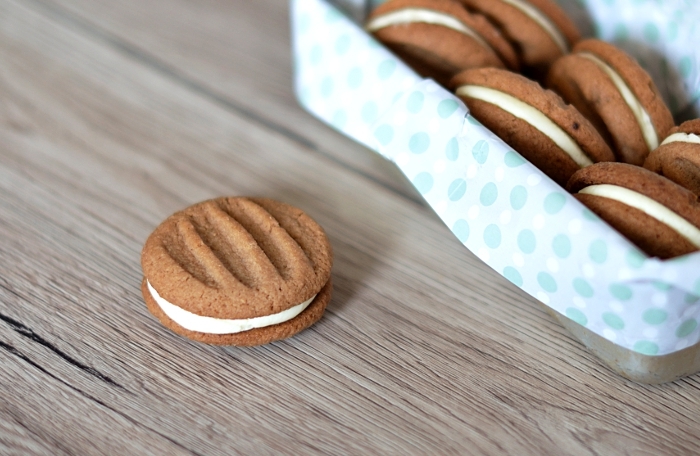 Leave a b it of space in between each cookie. Step 1 - Beat the butter until it's pale and fluffy. Step 2 - Add the icing sugar in three parts, mixing well after every addition. Step 3 - Add the Oreo crumbs and mix in thoroughly. If the butter buttercream is a little stiff, add a teaspoon of milk. Step 4 - Put your Oreo buttercream into a piping bag, fitted with your chosen nozzle. Step 5 - Give each brownie a generous swirl of buttercream and top with half an Oreo. For the full the recipe, as well as images to guide you, visit Jamie's blog here.